Rugby Player to Movie Star! Semi is a great guy. Proud dad. Very proud dad. Semi was and is a rugby player and coach. A good one too. 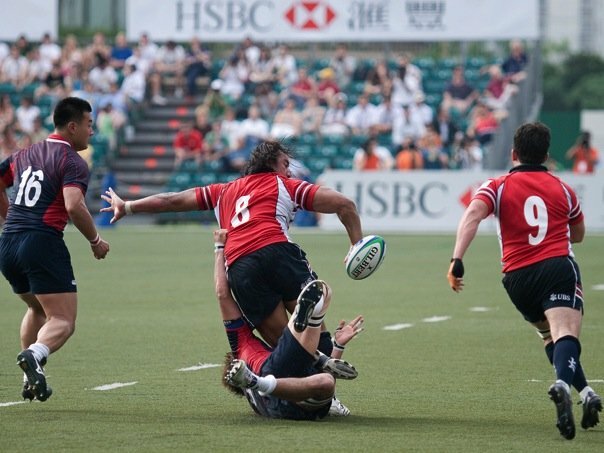 He moved from his native Wellington in NZ to Hong Kong, and is a well known face in both rugby communities. And now he is a much sought after actor for Asian Blockbuster movies. Happiness is Egg Shaped are delighted to bring you this interview with an unique member of the rugby family to hear his story. 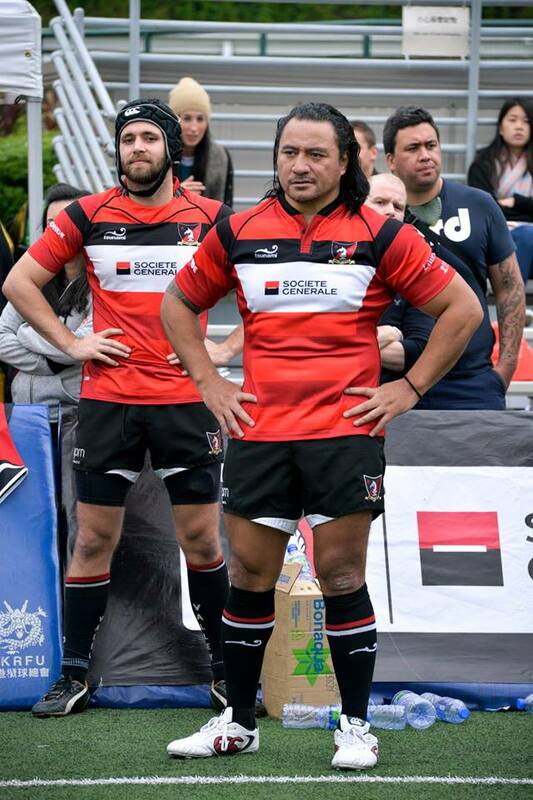 Rugby player to Movie Star! How did that happen? I was approached by a Chinese player who played in our social team at the time. He asked me if I was interested to have a small role in a film he was involved with. I was very curious about how films were made in HK because I grew up watching Kung Fu movies with Bruce Lee playing a major part of the 70s and 80s at the time. The next day on set at the Run Run Shaw Studios in Tseung Kwan O, I turned up on a massive sound stage and was part of a film called ‘Unbeatable’ which was HK/China’s first feature film that tapped into the MMA market. That film became the biggest movie of the year and it kind of launched my own film career I guess. Luckily for me the transition from rugby to the movie industry have been quite easy. Like rugby, most film stars are gracious, helpful and genuinely care about what you must say or do. Everyone on set needs to work together as a team to provide successful outcomes, exactly like rugby. Everyone needs to work together. I remember Chin Ka-Lok let me do my own stunts in the movie ‘Helios’. He said ‘Can you jump over that thing? Swing this way and point your AK-47 this way to shoot the police chasing you?’ I replied ‘No problem bro.’ He was very surprised I had the coordination! There are about 4-5 cameras on you simultaneously and you need to be in a certain position at the end for the shot to look cool! Recently I’ve appeared in a Chinese wrestling film where I had to put on 5kgs to look ‘thick’ and am now involved with doing my very first Chinese gangster TV series, so I’m excited. Who inspired you to play rugby? Who inspires you in your new career? “So it’s a bit like what Shakespeare said: All the world’s a stage, And all the men and women merely players”? He slapped my head and nearly gave me a hiding for being a smartass lol! 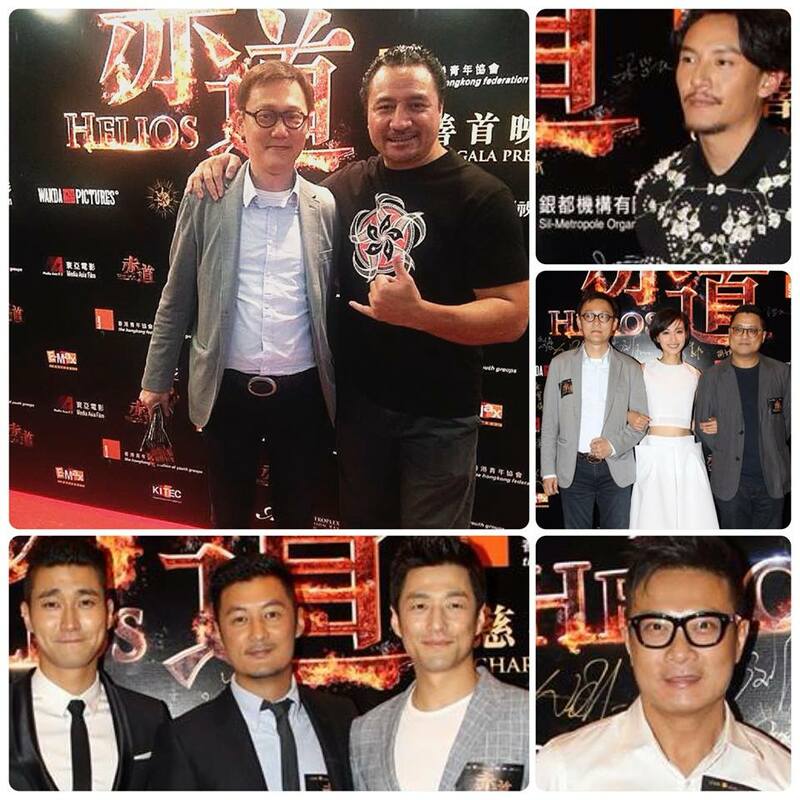 In the film industry, I would say people like Andy Lau, Aaron Kwok and Cheung Ka Fai are actors who I look up to. They are wonderful people and are always helpful when collaborating. They have made me feel welcome and said if I needed any help just to ask them. I immediately felt included even though I was only one of the few Western people on set. But it is lots of fun! My toughest opponent would have to be Jerry Collins. We grew up together in the same town and played each other many times. He was hard, relentless and let his actions do all the talking. Jerry was years ahead of his time and was incredibly fit. The guy would just keep running all the time but he was the biggest smoker I ever knew too! It didn’t make any sense why he was so fit! Haha! The Wellington Rugby Community has shown immense strength recently. What does it mean to be part of that? The Rugby community has lost too many rugby men lately. I guess it demonstrates that you can’t take anything in life for granted whether it’s sport, family, work or life in general because it can all be gone in a split second. It was great to see the Hurricanes win the Super championship and the region is buzzing now so hopefully they can continue to strengthen the club level first and promote local talent first. I loved playing for my province and have great memories of the mates I played with and against. What have you learnt through your time in rugby and how has that helped you in life and your career? I think I’ll remember the friendships the most. The training sessions nobody sees behind the big matches. The injuries, the patience and cooperation between players and teams. It’s very powerful. Rugby can open doors and gives numerous opportunities in life for you. It basically got me out of Porirua and I got to travel and see the world with my family. I’m very fortunate and grateful my parents made me play rugby. What do your co-stars know about rugby? To be honest they don’t know much but they enjoy touching my tattoo and running their hands over it because they’ve never seen Pacific Island tattoos before. It’s a great ice breaker for conversations and they take a genuine interest in New Zealand and the All Blacks. And I love to talk about them too! They always tell me to ‘do the Haka thing’ and I just poke my tongue out and they love it. Recently I got to share the screen with Scarlett Johansson in a Sci Fi movie ‘Ghost in the Shell’ (Out in April 2017). She was lovely. In between takes we got to chatting about HK, NZ, Samoan people, rugby, our families, Hollywood and fond we had a lot in common. She was very cool and down to earth. We got to eat Peanut Slabs on set which is chocolate from NZ and had a good giggle at the same time. Her bodyguard looked like a former Navy Seal who wasn’t very friendly, looked like he needed a kick in the balls! But I guess he was just doing his job. What made you move to Hong Kong? 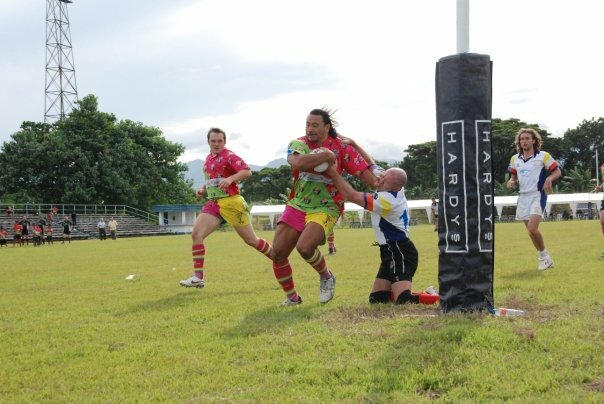 I arrived in Hong Kong as a player/coach for Valley RFC back in 2002.I made the move to Hong Kong because a good friend of mine Andrew Wong Kee was based there already. The previous year we had both trialled for Manu Samoa when the great Michael Jones was in charge. Fortunately, Andrew saw my CV on the table and vouched for me and the rest is history. What are your most memorable rugby moments? 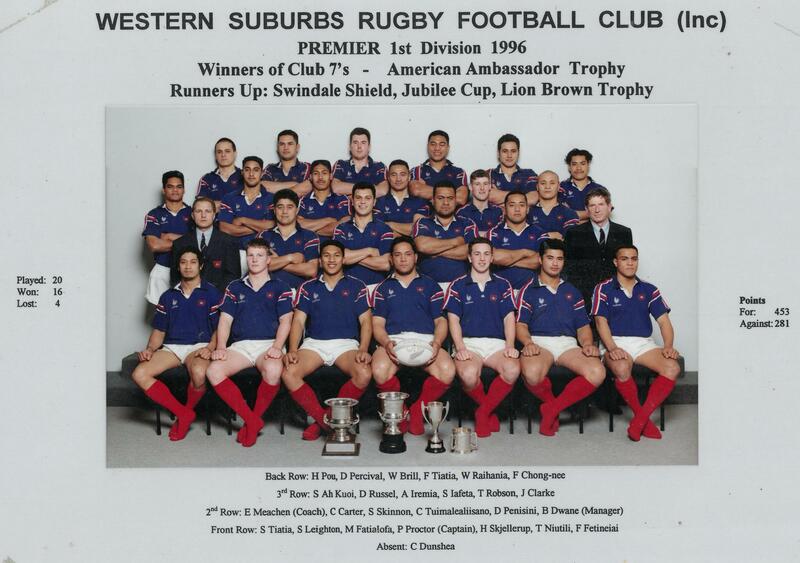 Playing 100 matches for my club Western Suburbs RFC and winning the Jubilee Cup. Wellington has one of the toughest club rugby competitions in New Zealand, so to win the Jubilee Cup for the first time in our Club’s history was very special. Most of the players in our club team that year went on to gain international honours in the All Blacks, Manu Samoa, Tonga, Fiji, USA Eagles and I played for Hong Kong. I love eggs, any style. For breakfast, I always have steak and 6 scrambled eggs every day. 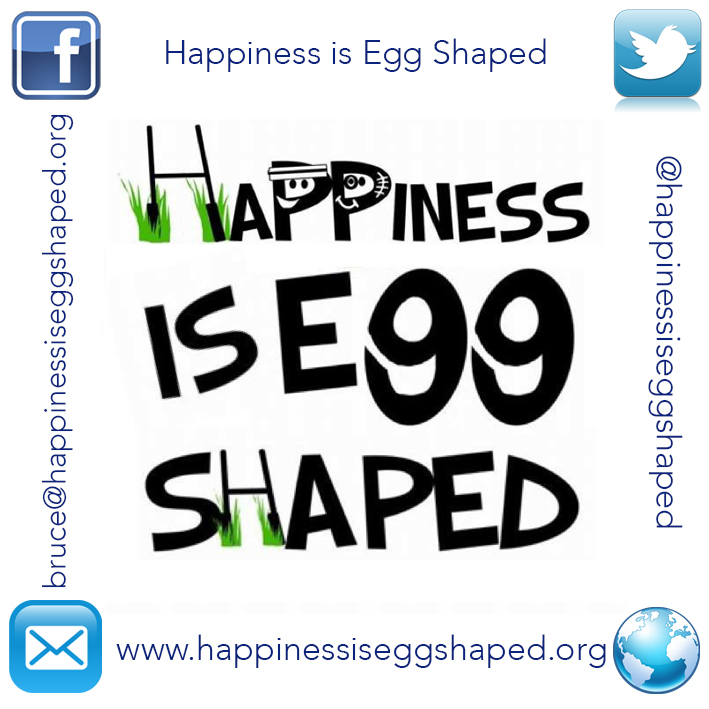 My Happiness is very Egg Shaped, yes indeed! Awesome interview Uso! God Bless! Se malo fuams! Well do Mantis Sekia! Awesome, Semi! So great to read your responses to the interview and get an insight to your life now. Respect Bro! Also showing respect- the man!